Indiana University Kokomo senior Javier Vasquez was named the KIAC men’s cross country runner of the week by KIAC officials on Monday, September 8th. IU Kokomo competed in the Crimson Wave Invitational on September 6th in Hammond, IN. Vasquez finished 8th out of 60 runners in the 4 mile event with a time of 20:45. The Cougars will return to action on September 19th at the Indiana Intercollegiate event in West Lafayette, IN. 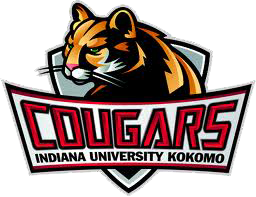 Indiana University Kokomo freshman Karly Sprouse was named the KIAC women’s cross country runner of the week by KIAC officials on Monday, September 8th. IU Kokomo competed in the Crimson Wave Invitational on September 6th in Hammond, IN. Sprouse finished 5th out of 44 runners in the 5K with a time of 21:47. Her time is the third fastest in the history of the women’s cross country program. The Cougars will return to action on September 19th at the Indiana Intercollegiate event in West Lafayette, IN. Point Park University freshman Tabea Dalliard was named the KIAC volleyball player of the week by KIAC officials on Monday, September 8th. Point Park finished the week 4-0 after defeating Carlow University (3-0), IU Southeast (3-0), Lawrence Technological University (3-0) and Cincinnati Christian University (3-0). Point Park libero Dalliard tallied 44 digs in four matches. She passed a .982 receiving percentage for the week. The Pioneers are currently 6-6 overall and 3-0 in conference play. They will return to action on September 9th when they host Edinboro University. Asbury University senior Meredith Ury was named the KIAC women’s soccer offensive player of the week by KIAC officials on Monday, September 8th. Asbury won their only contest last week, defeating Shawnee State 3-2. Ury scored a pair of goals including the game-winner against Shawnee State. The senior forward has four goals in two games this season. The Eagles are currently 2-0. They will return to action on September 9th when they host St. Catharine’s. Cincinnati Christian University freshman Kendra Steepe was named the KIAC women’s soccer defensive player of the week by KIAC officials on Monday, September 8th. Steepe averaged 11.33 saves in three games last week. The freshman goalkeeper recorded 9 saves against Mount Vernon Nazarene University and St. Catharine’s. She also tallied 16 saves against the College of Mount St. Joseph. The Eagles finished 0-3 last week. They are currently 0-3-1 on the season and will return to action on September 10th when they host Berea College. Asbury University senior Garrett Davis was named the KIAC men’s soccer offensive player of the week by KIAC officials on Monday, September 8th. This is his second offensive player of the week award of the season. Asbury finished the week 1-1. Garrett scored a goal in a 2-1 loss to Union College and scored a goal in a 3-1 win against Shawnee State. The senior forward now has four goals in three games this season. The Eagles are currently 2-1 overall and will return to action on September 9th when they travel to St. Catharine’s. Brescia University freshman Naruemon Wiriyachon was named the KIAC women’s tennis player of the week by KIAC officials on Monday, September 8th. Brescia opened their season at the St. Louis College of Pharmacy Invitational September 5th and 6th. Wiriyachon claimed first place in the B flight singles. She recorded a 6-2, 6-3 win against Webster University. She also had a 6-4, 6-3 win against teammate Tarsilla Duck and a 6-3, 6-2 win against Principia College. The Bearcats will return to action on September 12th when they host Cedarville University.